We had a nice weekend visit to Vancouver & Whistler. On Sunday July 4th I spotted a 928 S4 parked in front of the Vancouver Yacht Club and Monday July 5th a 1983 - 1985 928 at 8-ish AM turn onto W. Gerorgia St. from Denman St. Are you gents/ladies on the list? We love Vancouver - coming from AZ in July the shock of mid 60s F (18C) is much appreciated. Sadly today we're back to the 110s (42C). We have a few 85/86s around here. But most of them are not on here. You should have posted that you were coming up we could have arranged a GTG. The Point Gray (out by UBC) Yacht Club 928 S4 was a darker blue, the west-end Vancouver 928 (very clean) was black. 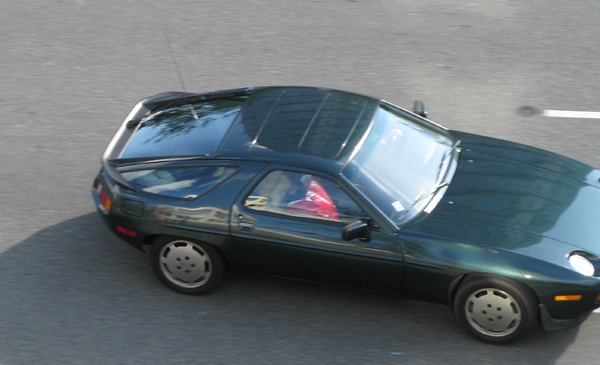 It is fun to see 928s out when we travel - a small brotherhood. This is a photo of the Vancouver 928 taken from Georgia & Denman St. - is somewhere between a 1983 & 1986 model - looks very clean.